There is no better way to show how well you are doing and the interesting places you are visiting than by posting photos to social media. It’s an instant verification of an enviable lifestyle and a sure way to make friends and family wish they were with you. The rise of inexpensive digital cameras has turned everyone into a shutter bug and the ubiquitous nature of social media gives you an instant audience to showcase your travels. Unfortunately many people believe that access to a digital camera is all that is needed to be the next Ansel Adams. To put it bluntly, that is simply not the case. The peak of photographic excellence is not the selfie and having the ability to take photos does not mean you have the ability to take good photos. If you want to take photographs that will turn your friends and family green with envy, there are a few simple guidelines to follow. Not to worry, though, once you start using these tips they become second nature. 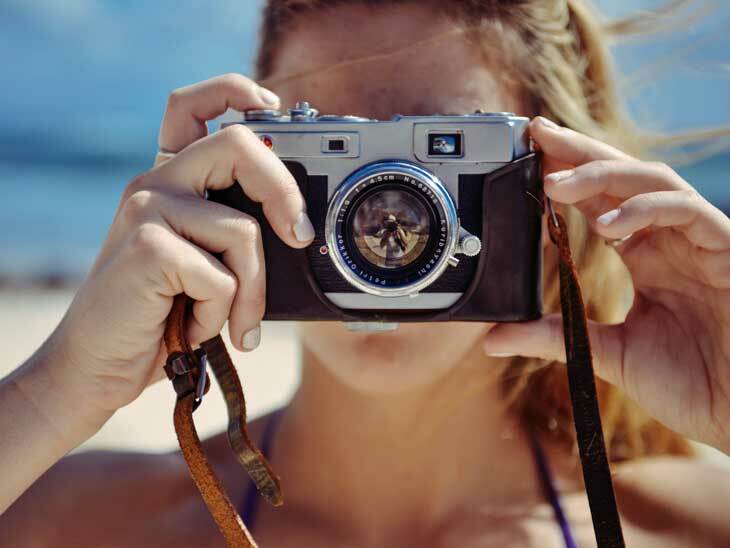 Your photography skills will improve with practice, of course, and you will soon be proud to show off your photos everywhere. Great photography starts with the basics. 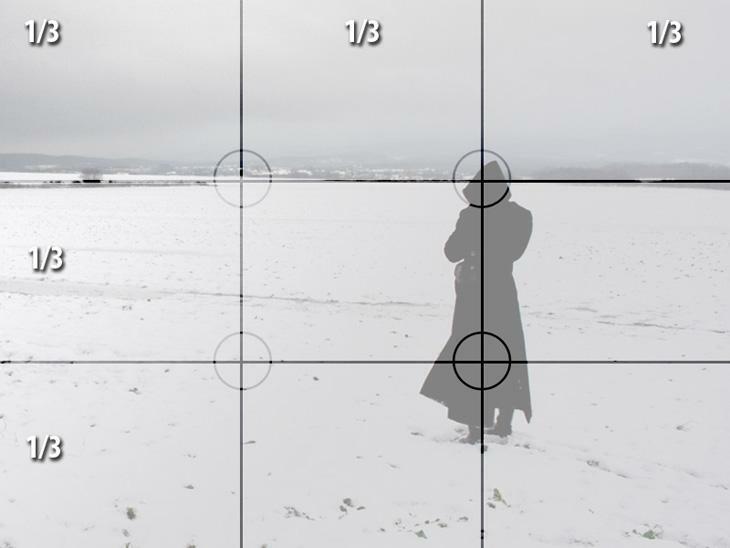 Remember the rule of thirds by visualizing a grid over your photos with two vertical lines and two horizontal lines forming four reference points. Those four intersections are the focal points of your photo. They draw the eye and, in the majority of situations, should be where the strongest subject is placed. Applying the rule of thirds and your pics will instantly look a lot better. Avoid harsh lighting. The best times for outdoor photography are during the hour after sunrise and the hour prior to the sunset. On sunny days, the light tends to be intense which gives your photos harsh shadows and overemphasized highlights. If you can’t avoid taking outdoor photos during the day, try to use shadows or shade to soften the lighting effects. 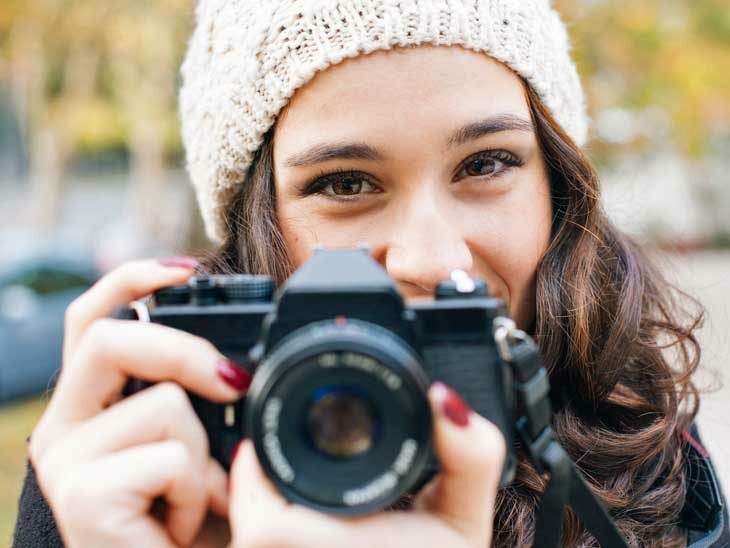 Photography courses are available through many universities and schools. If you live someplace that doesn’t, helping out or training with a local photographer is a wonderful way to learn. Most photographers are quite willing to teach newcomers what they know to pass on their learning to others. Bland, generic photos that could be taken anywhere should be avoided. If you are on holiday, let everyone know where you are through your photos, not just through your written posts. Iconic landmarks and distinctive vistas make wonderful backgrounds for people photographs. The zoom function is a handy tool that has its uses, but to create epic photos you want to capture as much of the scenery as your camera can handle. Majestic mountains, sweeping deserts and lush forests all beg for catching as much of the scenery as possible. Don’t be afraid to use your zoom function, but not everything has to be that close. 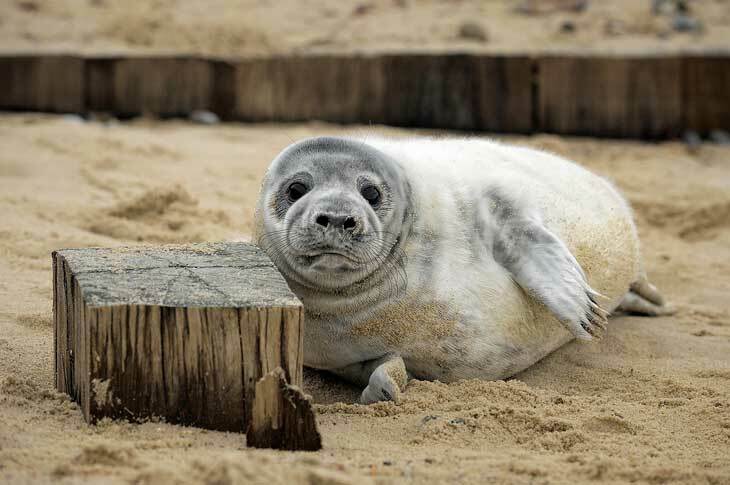 Use the optical zoom to get closer to your subject. The best photo opportunities are rarely staged. Being able to go from rest to snapping photos quickly is a handy skill to develop. Just as using your eyes to see everything as if through a camera lens. The fastest way to learn these skills is to learn what your camera can do. All of the settings that your camera can be changed to and all of the accessories that can be added have a function – many times more than one – and will change what your camera sees or how it sees it. Knowing the differences and knowing what settings will give you the best photo is your responsibility as the photographer. 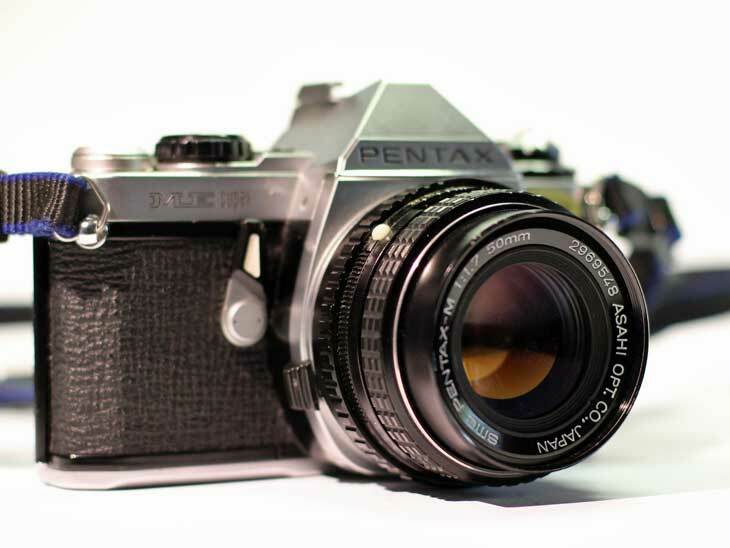 I believe this is a Pentax Spotmatic. Practice is the best exercise. No matter what the conditions are you should be taking photos. It doesn’t matter whether it is sunny, overcast, indoors, under bright lights or whatever. The more you practice, the easier it is to get those once-in-a-lifetime shots that are so easy to miss. Although cameras are getting more inexpensive all of the time, the change in price is just a matter of degree. Any decent camera is an investment and should be protected as such. Attach a neck strap to your camera and use it. 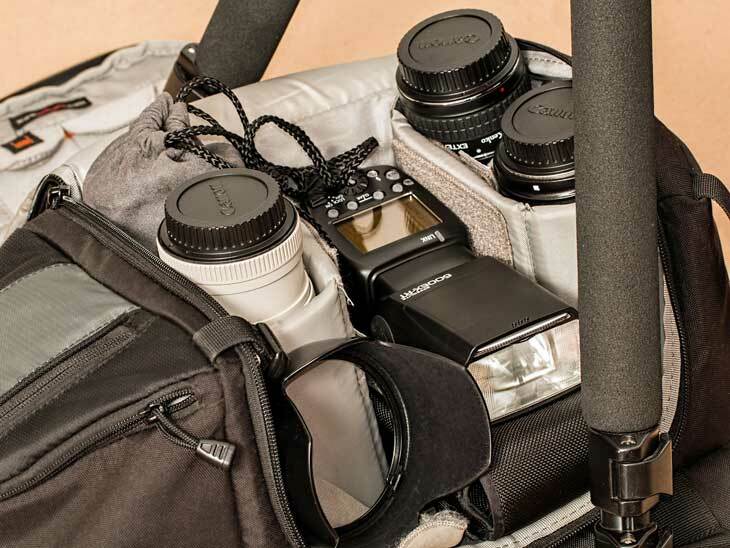 Get a nice camera backpack or bag to safely carry your camera close at hand. Don’t expose your camera and gear to harsh weather conditions unless it is made for it. Use a good back pack to protect your camera gear. Hard knocks, sand and grit are all hard on the optical components of your camera – not to mention the electronics – and you should treat your camera with the same care and consideration you do for any of your other expensive tools and gadgets. When it comes to taking great photographs your camera is the second most important thing you have. The most important, of course, is your imagination and desire to be a great photographer. You determine how much practice you are willing to put in, how much desire you have to truly excel and whether you are truly willing to rise above the mundane world of selfies and gimmick photography. Ian Pearson is the person behind this article. Aside from primary area of interest and expertise in business consulting, Ian could be tagged also as a passionate sports fan, nature and photography enthusiast, always trying to keep up to date with tech innovations and development, with a particular interest in trying to master the fine art of Social intelligence. If you want to read more on how to take better pictures, do check out the guide my friends at Groom & Style has put together. What are your tricks and tips for best holiday pics? Please share in the comment section below or via email, on Twitter, Facebook , Instagram or Google+.